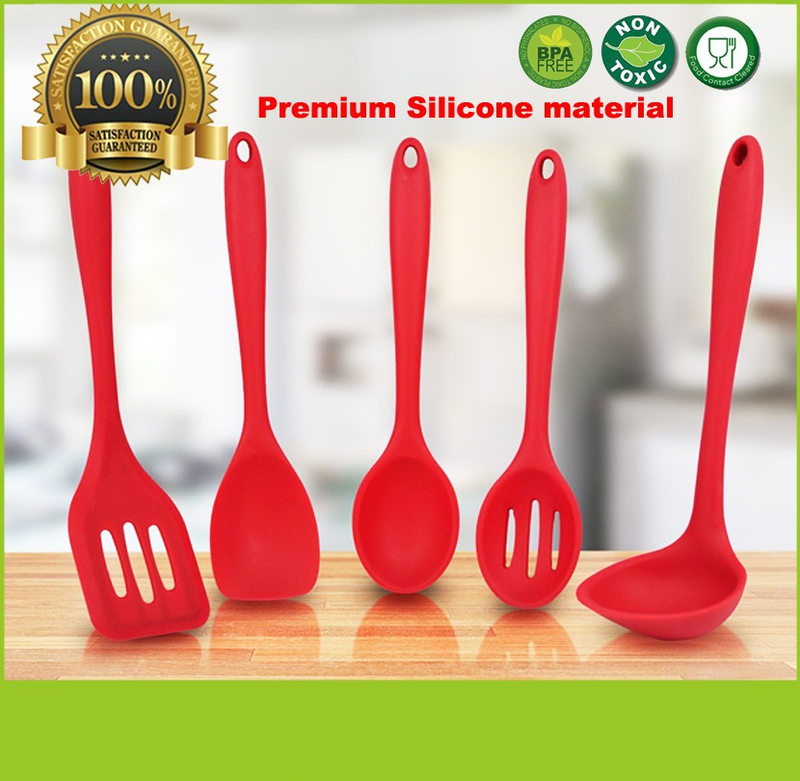 Product Description: 100% Food Grade FDA Approved Silicone – Rated to 480 degree sustained heat. No more melting spatulas in the pan. 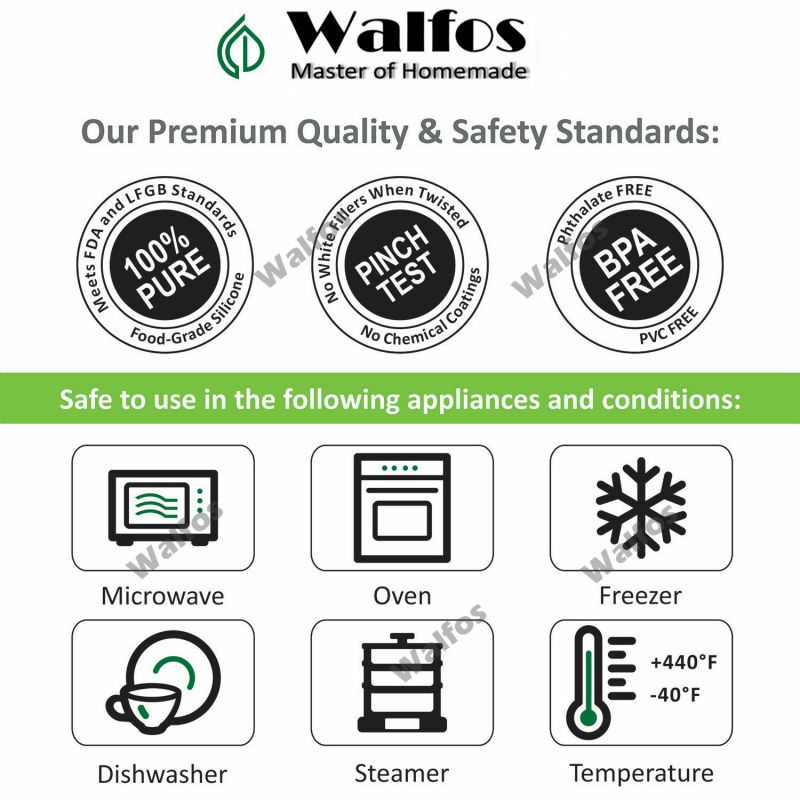 Easy cleaning and hygienic – Food won’t stick to silicone which makes cleanup a breeze. Only the most stubborn of foods require a light scrub to remove. Machine Dishwasher safe – Color will stay as gorgeous as the day you got them. Polar Pantry Guarantee – If you ever have any issues with your set we will do everything in our power to make it right. What you get in the packaging, Your new 5 piece silicone set contains what you need to get started cooking or to update aging kitchen utensils.